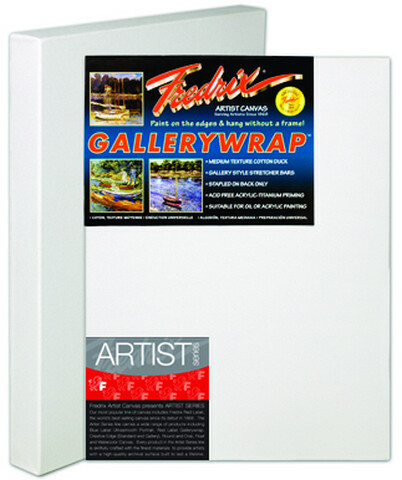 Fredrix Gallerywrap Canvas is a medium-textured, superior quality duck canvas. The acid free double acrylic primed surface is suitable for paintings in oils, acrylics, or alkyds. The canvas is mounted on 1-3/8" heavy-duty stretcher frames for double the standard thickness. The canvas is stapled on the back to allow painting on all sides. It can hang with or without a frame. 45 points will be rewarded when you are logged in to your account and buy this item.